LAHORE: Opposition Leader in the Punjab Assembly Hamza Shehbaz on Friday claimed that his party Pakistan Muslim League-Nawaz (PML-N) will win the October 14 by-elections and increase its seats in the national and provincial assemblies. 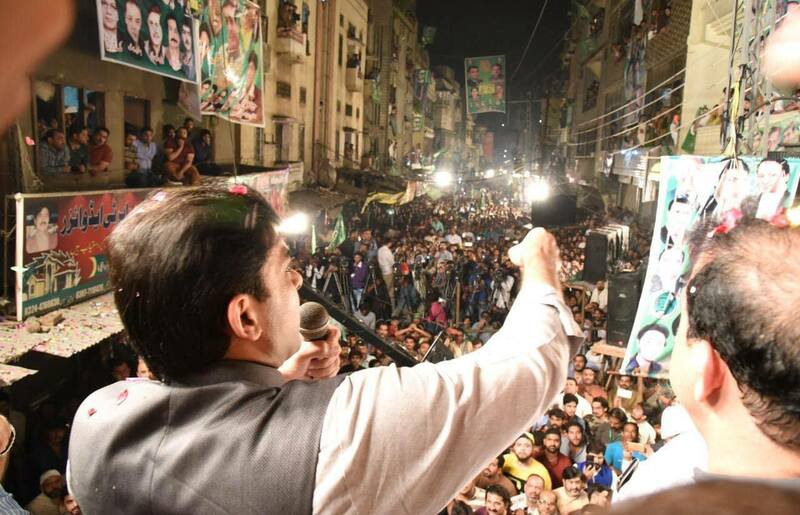 Addressing the party workers and supporters near Taxali Gate, the PML-N leader came down hard on the Pakistan Tehreek-e-Insaf (PTI) governments in centre and Punjab for not fulfilling promises made with the people and taking U-turns on important national issues. Hamza said a government cannot be run by auctioning buffaloes and collecting donations. He claimed that the PTI was given a fake mandate in the July 25 elections. Calling the PTI government as a U-turn government, the PML-N leader said the information minister announced that there would be no hike in gas prices and the next day the prices were increased. The PTI also announced not to take loans and now it has approached the IMF saying sky would not fall if the government takes loans. The Punjab opposition leader said people who looted millions had become senior ministers in the PTI government. Referring to his uncle Nawaz Sharif and father Shehbaz Sharif, he said those who served the nation were sent behind bars in fake cases. Moreover, former railways minister Khawaja Saad Rafique, who will take part in the by-polls as a candidate, also addressed the leaders and said that deputy commissioner arrested PML-N workers on the orders of PTI government. He criticised the government for the political victimisation of opponents. Saad said his party will protest against the arrests if the workers were not released. “Will not allow anyone to steal mandate on Oct 14,” he said.